Exciting news! My novella, “Sarah’s Survival Guide” is almost ready for FREE FOREVER reading here on AWD. Not free for a day. Not free for a week. Free forever to celebrate ten years of A Writer’s Diary! 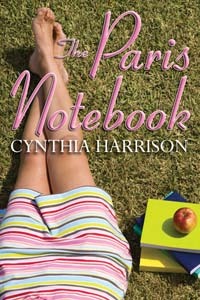 The cover artist did a fabulous job connecting Sarah’s cover look and theme to The Paris Notebook, coming soon from The Wild Rose Press! I’ll post Sarah’s cover as soon as I receive the final version. I plan to work on the story today (as I did yesterday) and maybe I’ll be able to put the cover and the story up at the same time. Next Yet Another Coming Soon! Congratulations on ten years. Things are really moving and shaking in your writing world!